There are countless studies referring to the rising numbers of people who suffer from issues related to stress. In modern everyday life, many of us tend to be bombarded by stimuli and operating in a state of “fight-or-flight,” aka stress-response. This response is part of the autonomic nervous system and helps us in certain situations such as recognizing danger, giving us strength in emergency circumstances, and getting tasks done. It is common to be living in a state of stress-overload and for this response to be overactive. It can affect overall health, including heart rate, blood pressure, reproduction, sexual function, job and athletic performance, digestion, elimination, energy level, and sense of self. 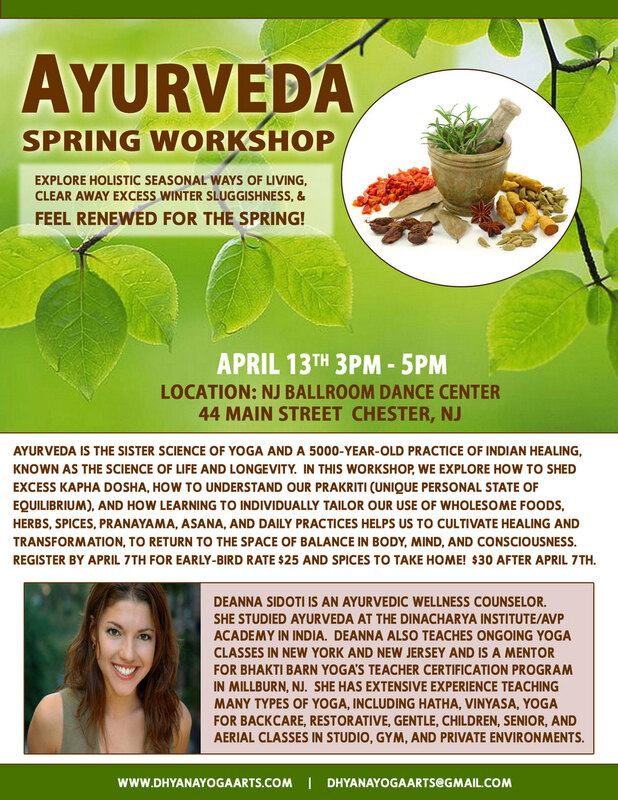 Ayurveda Spring Workshop April 13th ~ Special lil' gift for early birds! 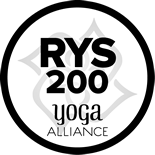 To register, please arrive ten minutes before classes at New Jersey Ballroom Dance Center or click here to register online.